Vanessa Fanuele, presents at Polaris Gallery, new paintings, sculptures and works on paper. In a set of assemblies of various frames, the Éclats sauvages series reveals a neglected and then reconstructed representation and an atmosphere that encourages contemplation. The possible movements of these « fragments of nature » imply an unpredictable composition and a renewal of perception. One landscape then generates several other landscapes, so the work can constitute itself by a aleatory composition. The vegetal density of the jungles has given way to visible structures or rather oscillating structures that reveal the rhythm of the work. The hidden laws and disorders of nature seem to be channeled by a visible structure referring to the body. 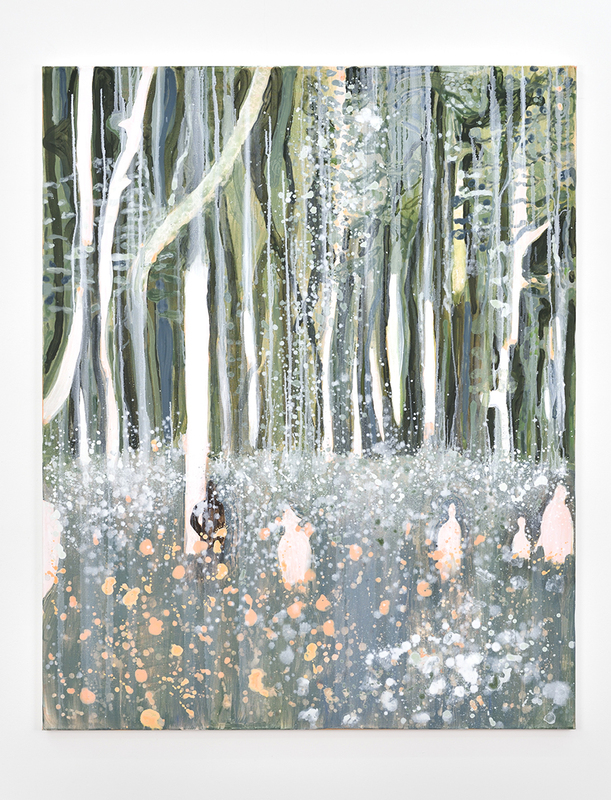 « L’éternel retour » is a painting on canvas where silhouettes can hardly be distinguished in the middle of abundant vegetation under layers composed of stains and glazes, to such an extent that nature and the body overlap. There is here again a set of assemblies, of memory, a survival. Is the landscape a pretext to reveal presences? These ghost bodies evoke those of slaves who fuse into a cotton field. The landscape they have shaped then appears as the support of a living history. The body-memory but also the landscape-body are notions that the artist approaches with discretion as the question of wandering, imbalance and erasure.